Jaya, her father and I were coming to Gangtok yesterday to see my son, Babai. He’s studying MBBS at SMIMS in Gangtok. We came from Ranchi via Kolkata. The flight reached Bagdogra airport on time. The cab was already booked and we proceeded for Gangtok, which is around 125 km. We stopped at the City Centre for our lunch at KFC and had tea at the Tea Junction there. It’s a mountainous road with beautiful natural surroundings. Teesta river flowing by the road adds to the beauty. However, this road is landslide prone area. 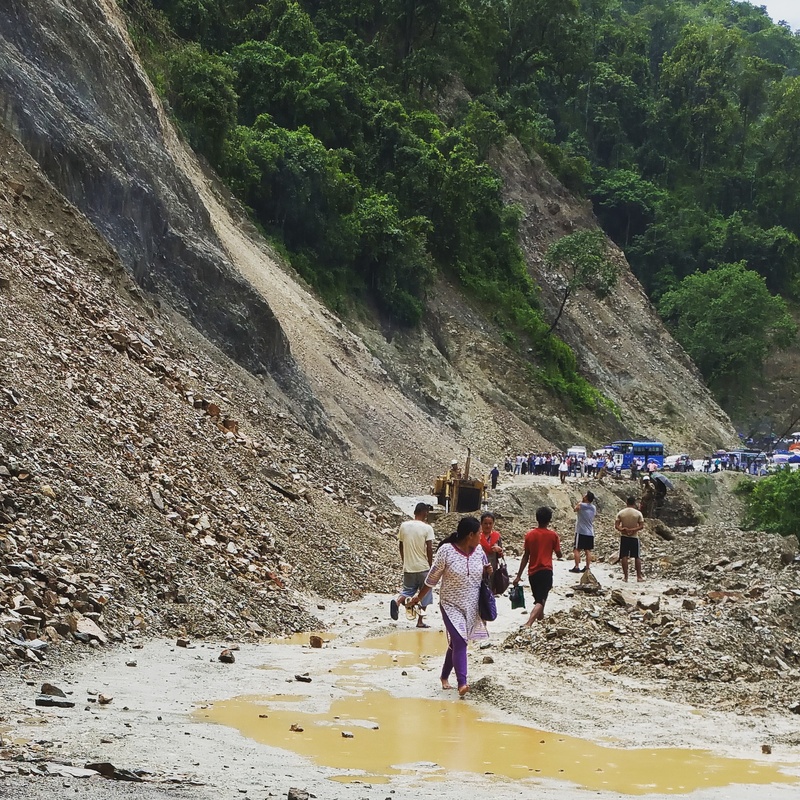 Often landslides blocks the National Highway 31A. Now that monsoon has started the frequency of landslides increased. 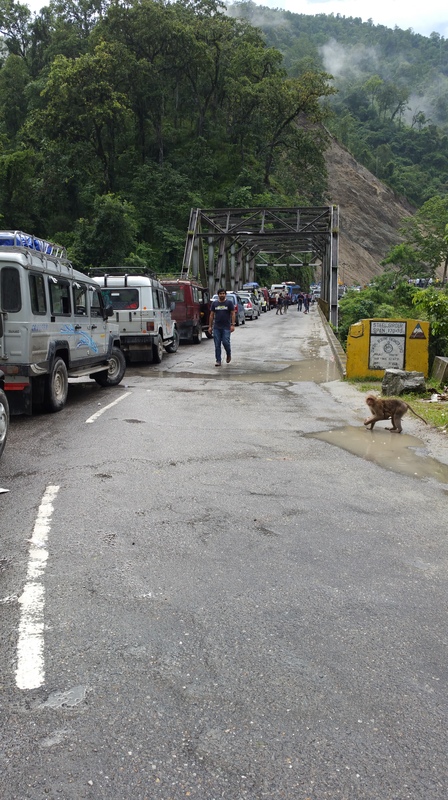 We faced our first blockade in between Sevokeshwari Kali Temple and Coronation bridge. It’s not a landslide, but an electric pole had fallen on the road and a bus trying to pass got stuck on the mud, thus the blockade. All big vehicles lined up on the side of the road. We were in a Toyota Innova. We along with other cars managed to pass under the pole. We were happy that the first encounter with blockade didn’t take much time, maybe took around half an hour. But then we found us at the end of a long queue of cars near Swetijhora. It’s a landslide! I walked ahead to the slide area to see the situation. I reached there after walking almost three-quarters of a kilometer. This road is maintained by a unit of Indian Army – General Reserve Engineer Force or GREF, in short. GREF personnel were busy there with bulldozer to clear the debris and level the road. 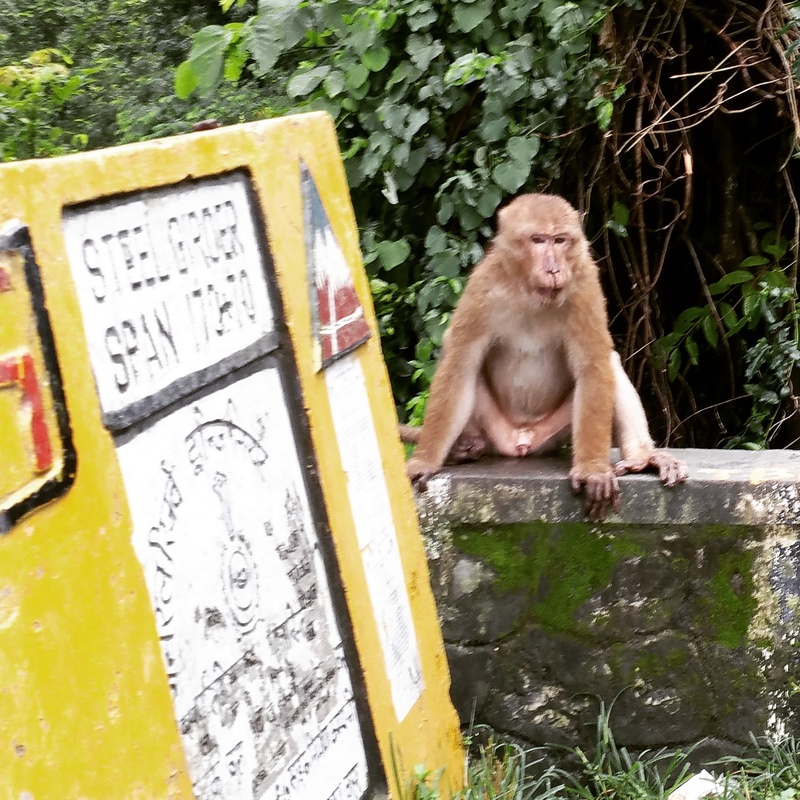 Monkeys were watching the hapless people waiting for the road to be cleared. After almost an hour the road was cleared. But then the traffic coming down was allowed to pass first. The narrow patch was enough for a vehicle to pass. The traffic was then allowed from both sides in batches, one by one. We had to wait another 15-20 minutes to get our chance to pass through. Thank God!